The CIC held that the UGC being an academic regulatory has statutory duty to inform/educate the people about the courses/degrees and their validity. It was agreed by the CIC that any conclusion without reading the enactments of the RTI and UGC together would lead to undue denial that amounts to abdication of UGC’s duty to inform, which was prescribed by two statutes that being its basic function. The Central Information Commission (CIC) in Ram Kishan Sharma v. PIO, UGC, has directed the University Grants Commission (UGC) to make available information sought by a petitioner regarding a course offered by IGNOU, as it refused to do so under the garb of section 2 (f) of the RTI Act, 2005. Central Information Commissioner Prof M Sridhar Acharyulu (Madabhushi Sridhar) said he was surprised by how public authority UGC refused to clarify the doubt of the petitioner by taking shelter under technical interpretation of right, according to section 2(f) of RTI Act and iterated that the RTI Act must be read with the UGC Act. (b) whether training programme for ‘script development for preparing audio video tapes’ conducted by IGNOU, New Delhi, is specified or approved by the UGC as appropriate continuing education programme of comparable quality as mentioned in career advancement scheme of the UGC. Under Secretary and PIO Mr. Satish Kumar stated that the information couldn’t be provided and shielded this response under section 2(f) RTI Act. After not getting relief from either the PIO of First Appellate Authority, Ram Kishan Sharma approached the Commission. The CIC observed that the clarification sought could be done by UGC or IGNOU, but they did not write to each other on this question. Section 12 of UGC Act read with RTI Act 2005 clarifies that the UGC has a duty to collect and provide information to the citizens seeking it. 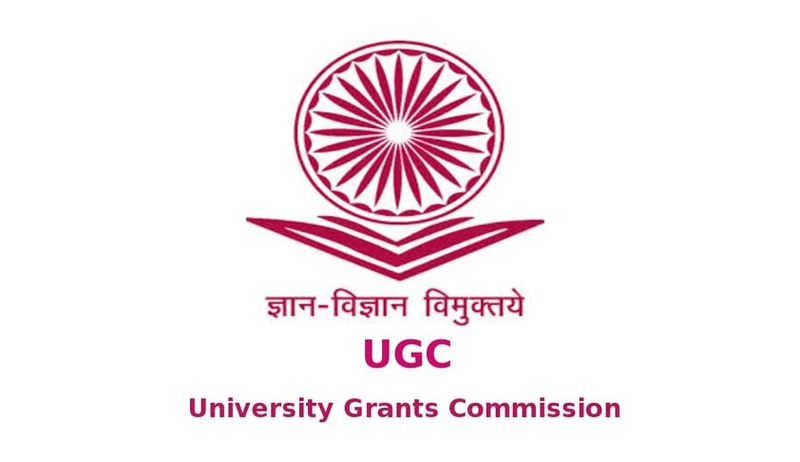 The CIC reminded that the UGC emblem contains a motto sentence in Sanskrit, “jnaan vijnaan vimukthaye (Knowledge liberates)’, thus imposing a duty to provide at least information, if not the ‘knowledge’. It observed that ‘information’ in the form of ‘clarification’ also liberates those asking for information under RTI Act from certain doubts. The CIC held that the UGC being an academic regulatory has statutory duty to inform/educate the people about the courses/degrees and their validity. It was agreed by the CIC that any conclusion without reading the enactments of the RTI Act and UGC Act together would lead to undue denial that amounts to abdication of the UGC’s duty to inform, which was prescribed by two statutes that being its basic function. Such lapses were considered as a policy-deficit in public authority exposed by such RTI applications. The Commissioner also warned that refusal to provide the clarifications would compel the Commission to initiate penal proceedings and also direct the public authority to pay compensation because appellant’s RTI request was a necessity arising out of non-performance of its duty under section 4(1)(c) & (d) of the RTI Act. It was noted that public authorities generally plead that section 4 is not directly enforceable by the Commission. However, the Commission emphasised upon the fact that information sought in this appeal was supposed to be voluntarily disclosed under Section 4 of RTI Act. The CIC iterated that a citizen’s RTI request necessitates enforcement of right by the Commission. Thus, the UGC or any public authority could not have refused to give clarifications, if it is part of their duty. Under such circumstances, the Commission held that the Section 4(1)(b),(C) and (d) will become enforceable and it has every authority to initiate penal proceedings under Section 20, as the information was disclosable under these three sub clauses of Section 4 in this RTI application. The CIC said that dutifully, the policy of the UGC must include providing clarifications for such genuine academic doubts. The CIC pointed out that although technically section 2(f) is held true, sheltering such doubts of petitioners under this section will leave the student community in confusion regarding validity of a course. The Commission said not informing the validity of a course amounts to abdication of their duty to inform, as that duty was prescribed by the statute and that is their basic function. The Commission directs the respondent authority not to refuse to give clarifications. The information sought not is not prohibited by any exemption and refusal to respond to these would attract penal proceedings under section 20. Directed the UGC to explain why it should not be ordered to pay compensation/costs to Ram Kishan Sharma, within 21 days from date of receipt of this order. The PIO was directed to file a compliance report complying with the directions in this order within 30 days from date of receipt of this order. Thus, with these directions, the second appeal was disposed of accordingly.